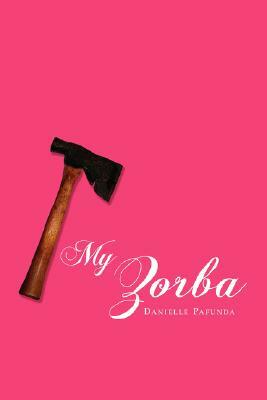 An enticing second collection by Danielle Pafunda, MY ZORBA is a mysterious, memoirish confabulation of missives narrating the dark domestic drama of the speaker and one shape-shifting Zorba. Is Zorba lover? Sister? Captor? Uncanny double? And does the story end in a bloody accident or intentional poisoning? Danielle Pafunda is the author of PRETTY YOUNG THING (Soft Skull, 2005), and the chapbook A PRIMER FOR CYBORGS: THE CORPSE (Whole Coconut Chapbook Series, forthcoming). Her poems have been chosen three times for Best American Poetry (2004, 2006, and 2007) and appeared widely in journals. She is coeditor of the online journal La Petite Zine, a doctoral candidate in the University of Georgia's creative writing program, and Spring 2008 Poet-in-Residence at Columbia College Chicago. See daniellepafunda.blogspot.com for more information.